This past weekend, we went to a family picnic for my kids’ new school year held at Sunflower Farms near Longmont. While chasing the kids around the different attractions there, I stumbled upon this little guy on stage! 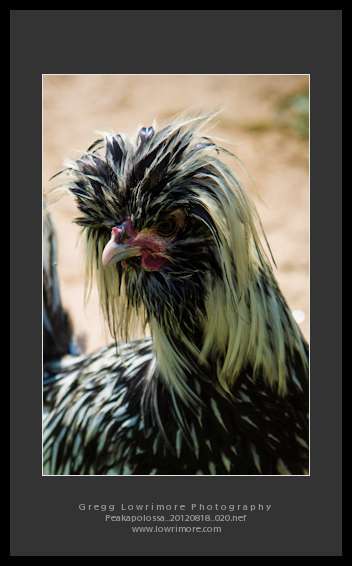 Anyone know what type of chicken this is? Please leave me a comment below. Posted in General, Nature and tagged chicken, farm, picnic by greggl with no comments yet. Another beautiful Colorado sunset tonight. Longs Peak is the 14000 foot peak just to the left of the tree. 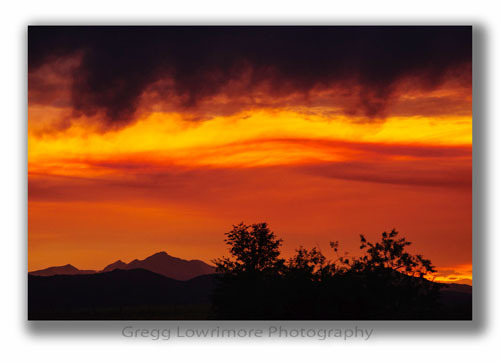 Posted in General, Landscapes and tagged colorado, Longs Peak, sunset by greggl with no comments yet.